I am not much of a gardener, but I do enjoy beautiful spaces, so over the last few summers, I have invested bits of time here and there to making the two small plots of dirt in our backyard functional and aesthetically pleasing. Due to being in my 8th and 9th months of pregnancy last year, I had a very hard time maintaining plots; consequently, they were in pretty rough shape this year. As I have been trying to repair much of what had gotten out of control, I couldn’t help but reflect on how much life mirrors a garden. Weeds, like the unwanted things or situations in our life, are very persistent. While some aspects of my life are flourishing, aromatic, and pleasant, other areas are barren, confused, and directionless. Since picking, pulling, and pruning allows me to work in silence, I have been able to reflect, identifying the areas that have stifled growth. I blame most of this on time. Time that was not spent being more aware of the state of my garden. Time not spent investing in relationships, or practicing self care. Time spent pursuing arenas that proved to be futile, but at the same time, necessary in order for me to grow. 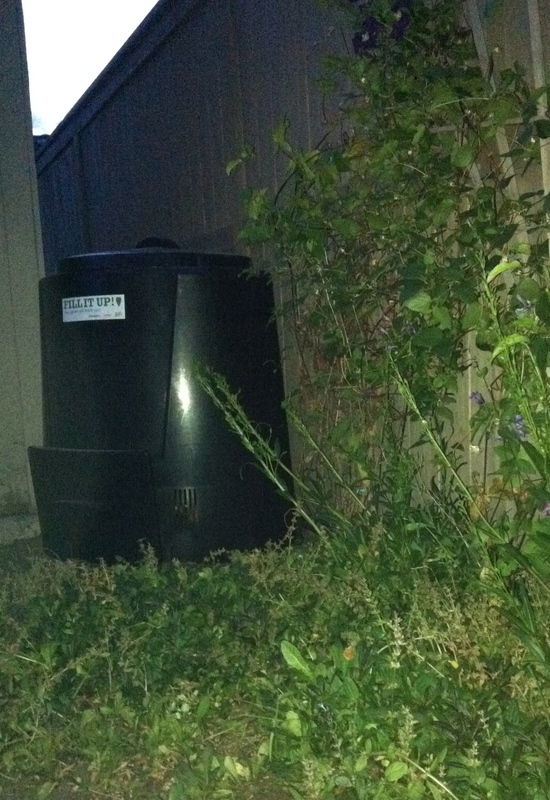 I have installed a composter (figuratively and literally) to assist me in digesting all of the scraps, allowing them to harvest my garden. I have said goodbye to a career that was leading nowhere. I have said hello to a position with a non-profit that affords me the opportunity to serve sexually exploited women. I have made efforts to cultivate healthy friendships with like-minded individuals. I have started running again. What’s interesting about gardening is that unless you observe the growth of a weed from its inception, you’re not often able to identify it as a weed (at least I wasn’t), and this is the same with life. Unless we take the time to acknowledge where the roots of our problems, insecurities, and unwanted things have been established, it’s hard to identify it as a choking hazard until it’s much too late. Thankfully, I can see what areas I allowed to suffocate my personal growth, and am now better equipped to pinpoint pursuits that could restrict me again. I can identify my weeds as they try to weave themselves amongst my flowers. I know I am not the only one that has battled unwanted weeds, so I ask you to consider what weeds you have passively allowed to take over your life. What is stifling your growth?